According to Baza, “Our country and its leaders have had a history of being slow, but the people persevered as we prospered. 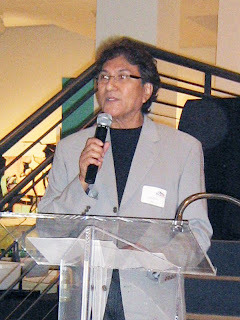 The African-American civil rights movement survived and provided a role model for all the civil rights movements to come.” Baza then reviewed the history of Queer rights struggles in the U.S., from the formation of the Mattachine Society in Los Angeles and the Daughters of Bilitis in San Francisco in the early 1950’s to the June 1969 riots outside the Stonewall Inn in New York City commonly believed to have been the start of militant Queer activism. He also reflected on the importance of this year’s Pride theme, “Pride Around the World,” and in particular on a Queer-rights resolution recently passed by the United Nations, which “called for an end to criminal penalties for sexual orientation and gender identity,” and noted with pride that the Obama administration agreed to this resolution whereas the George W. Bush administration had refused to sign on. “Racism didn’t end with Obama,” Baza said. “Quite the contrary, what with the questions about his birth and the insulting imagery comparing him to an ape. The Tea Party Nation has lashed out against immigrants, LGBT’s [Queers], and Obama’s ancestry. Women have still not won acknowledged equality in the workplace, or the right to control their own bodies. The Congressional and state legislative attacks on Planned Parenthood and the dismantling of Roe v. Wade are yet more battles on that front. 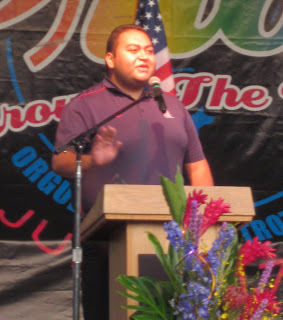 We have to work in coalition with women as well as with people of color.” Ironically, Baza then cited the San Diego City Council redistricting process — in which Queer activists came together with Latinos and African-Americans in support of a district map which added a second majority-Latino district and increased the African-American population of the current District 4 — as an example of successful coalition work, despite the complaints of some Queer and Queer-friendly residents of the City Heights neighborhood that that would take them out of the Queer-influenced District 3 and put them in a Latino district whose Councilmember is likely to be more socially conservative and less Queer-friendly. 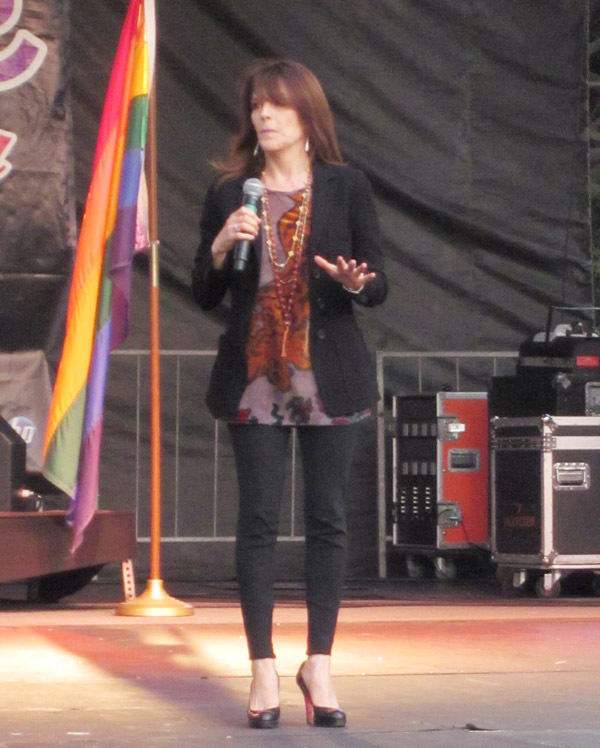 Williamson’s speech focused mostly on her role as an ordained minister in the Unity Church, a pulpit she has used to preach Queer equality in general and marriage equality in particular. She was introduced by Pride board member Dion Brown, and recalled that she first met him “when I officiated at his friend Art Smith’s legal marriage to his fiancé Jesús in Washington, D.C.” She recalled that the wedding party went to the Lincoln Memorial, where “I stood on the steps Martin Luther King had spoken from” at the famous March on Washington in August 1963. The Sanctuary Project Veterans does more than just offer lay counseling and reassurance to Queer servicemembers. Their Web site describes their group as “a pit-bull for benefits,” and much of their work is concrete assistance to Queer servicemembers: helping them obtain Veterans’ Administration (VA) medical benefits, compensation, pensions and submissions of claims after members have left the armed forces. They also work to upgrade the discharges of Queers thrown out of the military under “other than honorable” conditions. Thomas and Sanders won one of the two Community Services Awards; the other went to philanthropist Mary Stockton for her support of Diversionary Theatre, Stepping Stone and the San Diego Lesbian, Gay, Bisexual, Transgender Community Center. 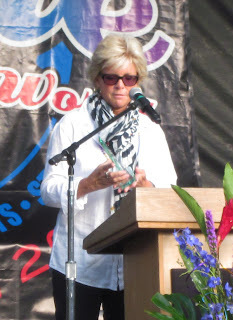 Ironically, another Linda Sanders — also married, but to a man — and her husband Ron won the Friends of Pride award for their work with the Gay, Lesbian and Straight Education Networks (GLSEN, pronounced “glisten”) and Scouting for All, the movement to end the Boy Scouts of America’s discrimination against Queers and atheists. The late Michael Portantino, publisher of the now-defunct Gay & Lesbian Times, was honored with an award accepted on his behalf by his daughter Tatiana and his brother, California State Assemblymember Anthony Portantino. The Sisters of Perpetual Indulgence, a troupe of performers dressed as nuns who raise money for AIDS organizations and other Queer-related charities, won the Stonewall Service Award.